In the Know! OpenStage carefully selects a season that reflects the very best of the national theatre scene. With our well-rounded play choices, you’ll see comedies, classics, and cutting-edge dramas, all right here at home. Getting a Deal! Discounts can be as high as 45% off, and you lock in at a low rate, avoiding higher prices for popular shows. Doing Good! By supporting OpenStage’s entire season, you are empowering local artists to create the adventurous, bold plays that feed Northern Colorado’s vibrant culture. 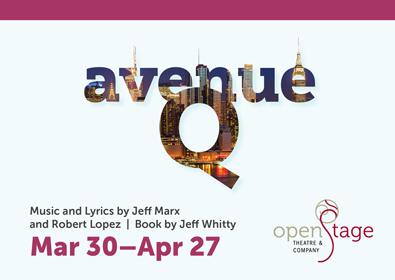 Bundle Steel Magnolias, Avenue Q and Much Ado About Nothing for only $85! First select how many patrons will be attending then select the performance dates and seat locations. 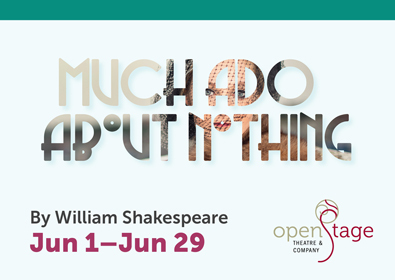 Please note that Much Ado About Nothing is offsite and has general admission seating. The discount will be automatically applied in your shopping cart. Your plays your way! Ten tickets for use in any combination for any of our Essential shows.